Summer vacation in the Carpathians with a splendid pool like everyone. Sunbathe and swim surrounded by forests and mountains — what could be better? We know that hydrotherapeutic procedure relieve stress, stabilize blood pressure, normalize sleep and improve the waist, making it slim and beautiful. That is why the best hotels in the Carpathians necessarily have a pool. Hotel Pidhiria – is not an exception. There is always a large outdoor pool -7X15 at your disposal. Not every hotel in the Carpathians can boast such a pool. It will be assessed by visitors, who like to organize heat sat a distance, as well as people, who just wanting top lunge, after sunbathing under the Carpathian sun. There is also a shallow children’s area. It is important for visitors that nobody can disturb the comfortable rest and it is not just for comfortable rooms, but also for a pool. For the suitable rest, it should be equipped with autonomous heating system and water quality control. The area around the pool must be clean and well maintained, it should also be protected from the winds. All this has hotel complex Pidhiria. It is prohibited to jump in the pool! 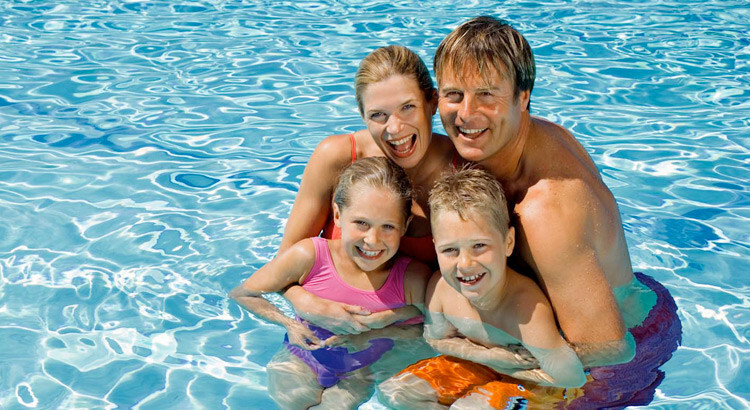 In our pool with crystal clear water, everyone can absolutely for free improve their health, strengthen the immune system, normalize blood pressure, relieve tension from the muscles and calm the nervous system. In addition to the pool area, in Pidhiria, we have comfortable chaise longue, where will be nice to sunbathe and enjoy local refreshments.